Do you need a vacuum pump repaired? IBS understand how important and heavily dependent the industry is on the efficient operation of vacuum pumps. They have a highly experienced team who are able to analyse problems, advise on the most cost-effective/efficient solution and how quickly that solution can be implemented. IBS do on-site visits in the case of emergency situations during working hours, they aim to respond within 4 hours based on distances up to 100 mile radius from their nearest available engineer. IBS offer on-site servicing for all major manufacturers and technologies. 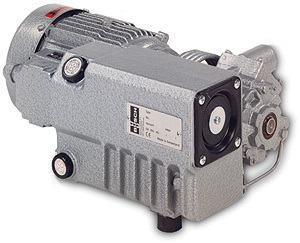 Contact them by clicking here repair vacuum pumps with your requirements. Don’t be blown away by the cost of repairs especially in today’s economic climate companies are looking to save money at every given opportunity. Repairing and hiring equipment will save money whilst keeping down time to a minimum. IBS – Industrial blower services understand how important it is to ensure the clients down time is kept to a minimum, thus making sure the client has their equipment working effectively at any given time.